We spent the weekend with my parents celebrating my Mum’s birthday. Happy birthday Mum! They live only a stone’s thrown from the beautiful Millennium Coastal path which stretches for miles in either direction, meandering round lakes and woodland, so taking my dog Boo for a walk is always a pleasure. It was so warm and bright yesterday that I stopped for a while to enjoy the sunshine and read a few pages of my current book – ‘The Daughter of Time’ by Josephine Tey. Luckily, there were no territorial swans around to tinge the moment with the threat of mild peril – seriously, Llanelli swans take no prisoners. 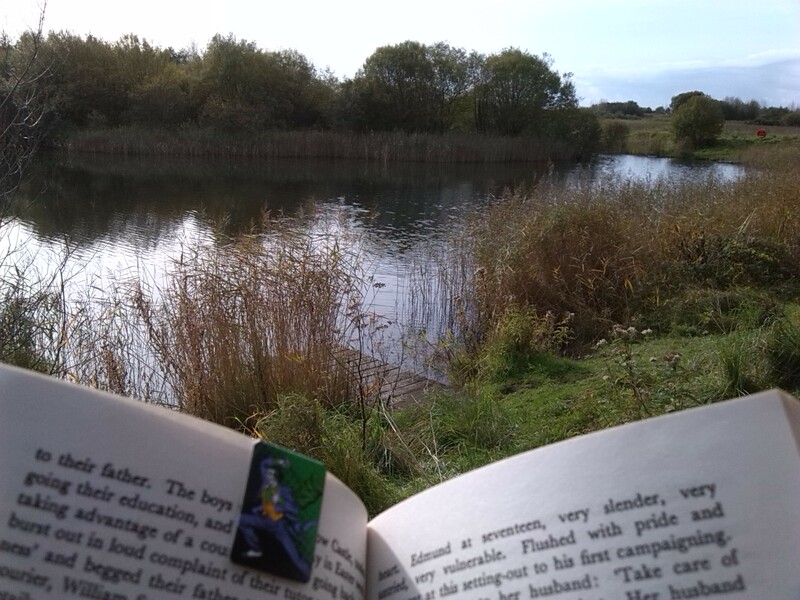 Still, it’s hard to believe that I’d be able to enjoy an al fresco read in late October, and it was sheer bliss! I can’t bring myself to ‘like’ that comment. I love a bit of snow, but I can’t go straight from a sundress to snowboots! Lovely – it was a perfect autumnal day yesterday – I wish I’d been in Llanelli rather than London!